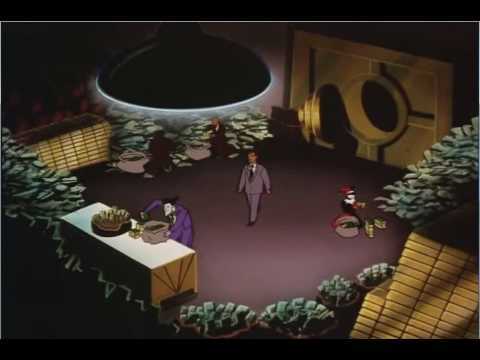 List Rules Vote up the jokes and references from Batman: The Animated Series that went right over your head as a kid. Batman: The Animated Series debuted in 1992 and was immediately recognized for its clever writing, complex characters, and solid plots. It was something of an anomaly for a children's show because it was neither simplistic nor pandering. Instead, it showed real problems and real consequences, which helped it gain a following among adults as well. And the writers didn't ignore their older audience; there are a few adult jokes in Batman: The Animated Series that you might have missed as a child. There's sexual innuendo, IRS problems, references to movies from 1946 - you know, all things five-to-eight-year-olds in 1992 would definitely understand. Some of these age-unsuitable jokes from Batman: The Animated Series are subtle - others are... not. Take a look at this list and vote up the jokes and references you totally missed as a kid. "Beware the Creeper," is technically from The New Batman Adventures, but since that series was just a continuation of Batman: The Animated Series on a different network, this moment totally counts. In this episode, Harley takes her relationship with Joker to the next level with some REALLY strong innuendo for a kids' show. She pops out of a whipped cream pie while attempting to seduce "Mr. J"... and in doing so, asks him if he wants to taste her "cream." No, really. 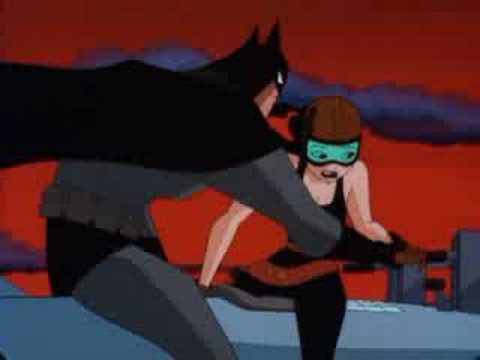 Harley Quinn threw out sexual innuendo left and right in The New Batman Adventures (which is what The WB retitled Batman: The Animated Series when it moved over from Fox). 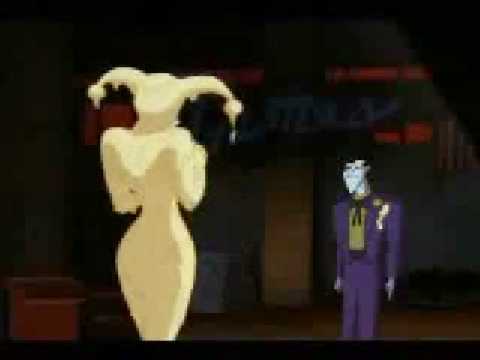 In "Mad Love," Harley decides to lose the jumpsuit and put on something revealing, and asks Joker if he wants to "rev up [his] Harley." 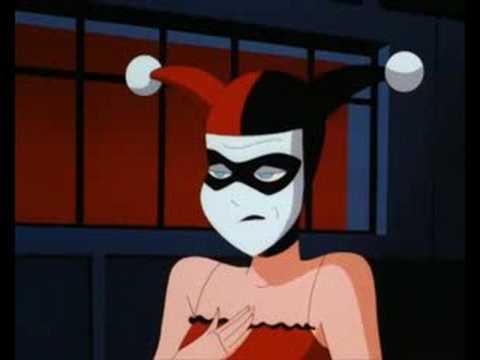 Harley, we know you want to hook up with Joker, but that's a bit much. Check out this epic battle between Harley and this mystery character that's hilarious and classic HQ. The Joker seems to most kids like a bad guy who would do just about anything or take on anyone. But there's ONE group who he won't take on: the IRS. In "Joker's Millions," he makes a passing comment about how he always pays his taxes. Why? 'Cuz while he's crazy enough to fight the Batman, he won't take on the IRS. Roxy Rocket is a villain, but as an idea, she is far more adult than anything else in the show. A former Hollywood stuntwoman who couldn't be insured anymore, she turned to crime to fund her thrills and escapades. This, by itself, isn't that bad... except she seems to find sexual pleasure in everything she does. And she rode around on a rocket, which did, in fact, look like a phallus.